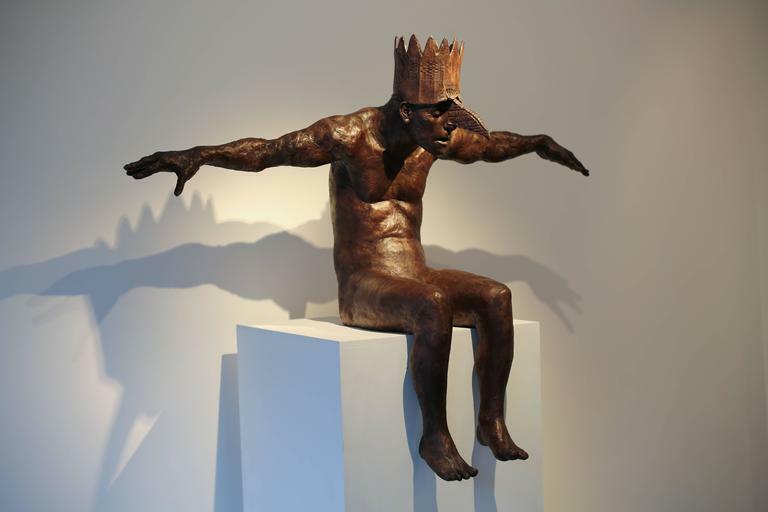 This modern contemporary figurative sculpture, is a bronze casting of human figure with crown with a fantasy quality. 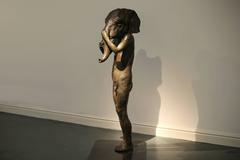 The arms are spread like wings with a human head and bird beak, slouched and seated, forward reaching posture. Anyone who shares Beth Carter’s fascination with the human condition must surely embrace the invitation to be found in her body of work. For here, among the richly detailed drawings and careful sculptures, we discover an unfolding meditation on those existential dilemmas that beset us all, and a world of its own in the making. This starkly beautiful and haunting world is both particular and universal, at once strange and immediately familiar, because it so powerfully evokes that forever surprising annex of our own lives: the chambers of our night dreams, our subconscious imaginings, and our performances of gender and personhood. Carter’s work, with bird-heads and cat-heads appearing as her less predatory take on the Minotaur legend. Cleverly, she can conflate and complicate those classical myths and those of contemporary masculinity at the same time. 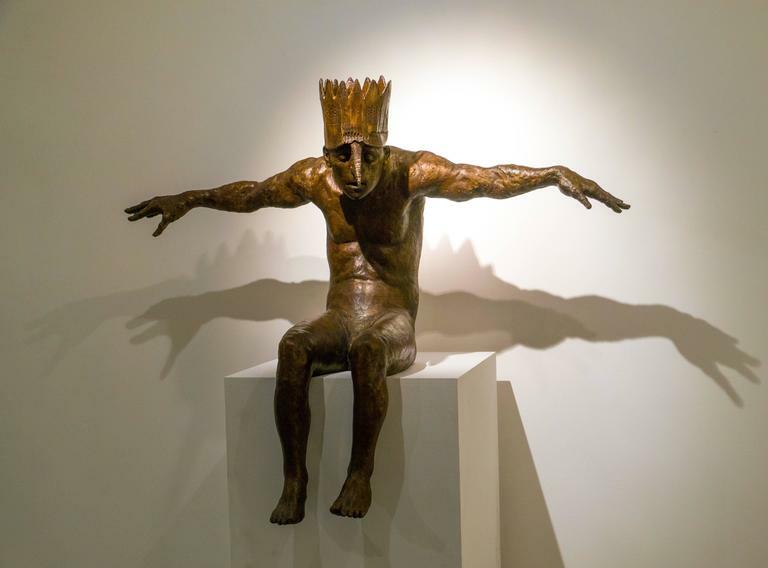 Based at the Spike Island studios in Bristol, UK, Beth Carter’s work often morphs the human figure with animal creating mythological creatures and extraordinary fictional compositions. She is additionally represented by galleries in the UK, New York, and Paris and has work in private collections across Europe, USA, Canada, South America, Asia and Australia, and in the permanent collection at the Musée d’Art Classique de Mougins, France.